« Corpse Found in Motel? Yussef A.: All The Raw Materials Are In The Mother Land…. Irfan S.: How the ‘western world’ is stealing …. Rayn: Indeed! 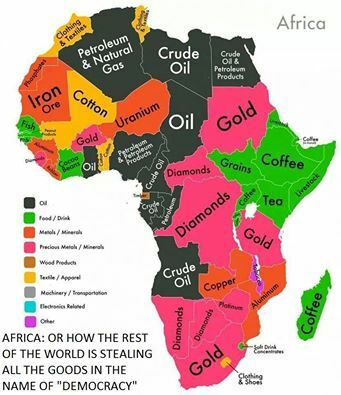 And, the Western media dutifully propagates the lies required to assist this corporate pillaging of an entire continent’s vast wealth of unexploited resources! 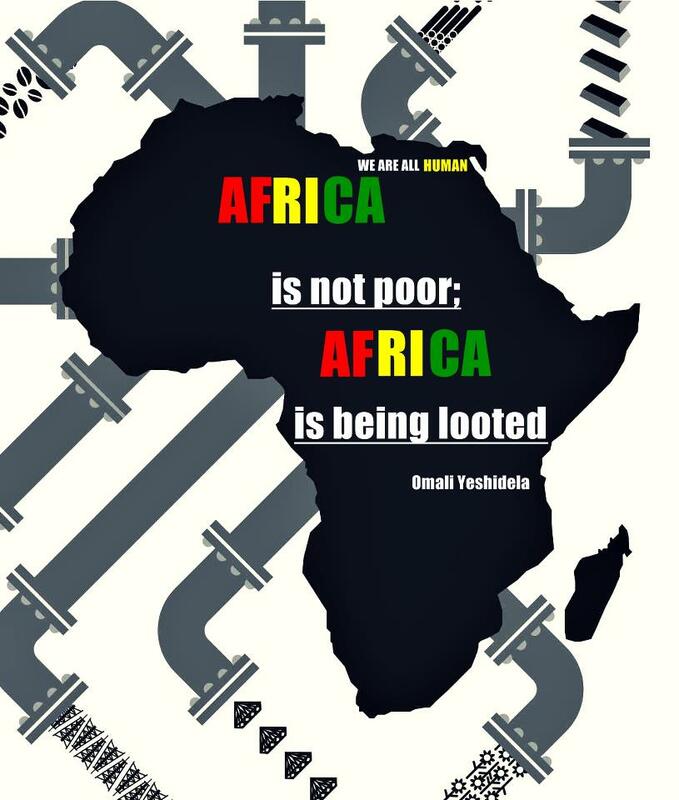 Tagged Africa, African, continent, corporate, covet, exploited, Imperialism, imperialist, looting, pillaging, poor, Propaganda, resources, rich, rob, steal, theft, theiving, unexploited, wealth. Bookmark the permalink.